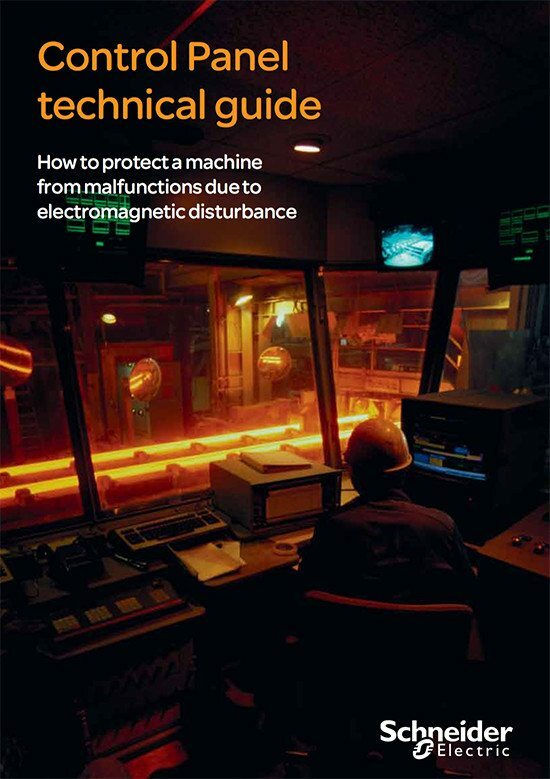 Industrial workshops are places in which there is often a high concentration of electromagnetic disturbance. In the metallurgy industry, the electric power required generates very strong magnetic fields in the vicinity of electrolysis tanks and induction furnaces. Workshops manufacturing parts in PVC or rubber use high-frequency welding processes to perform assembly. The propagation of strong magnetic fields and high-frequency waves is not easily controllable. It creates local pollution in the midst of which the monitoring and control equipment must be able to operate. 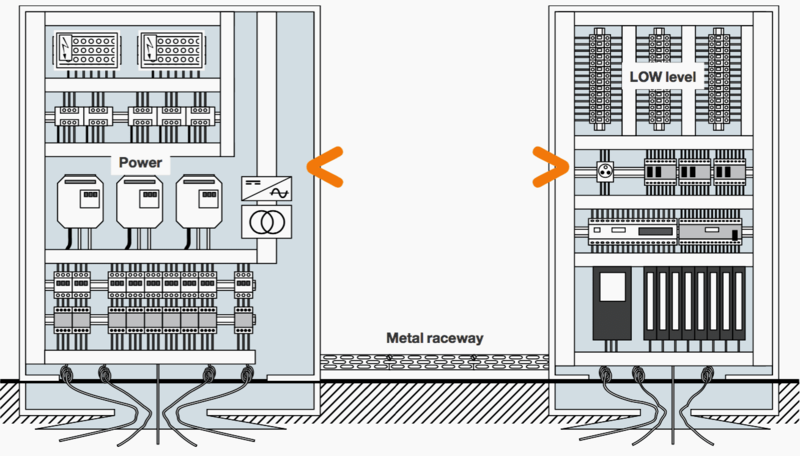 If high-power and low-power devices are juxtaposed without taking precautions and if cables of different kinds are routed in the same raceways, serious malfunctions are likely. 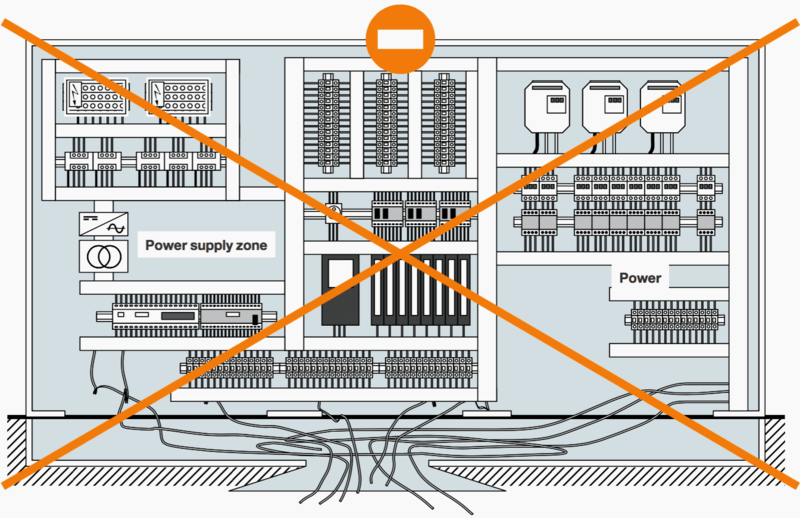 By allowing for the rules described below as of the design stage, one will avoid tedious troubleshooting, the ex-post installation of filters, or even reworking of the layout and wiring. 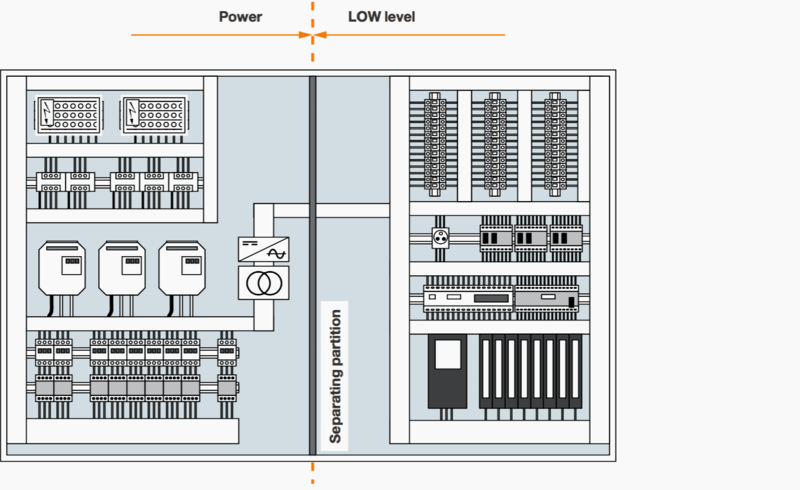 The dedication of panels by power class is the most efficient measure to obtain an excellent “EMC” result. Moreover, separate routing of disturbing and sensitive cables ensures minimum coupling. A metal raceway ensures equipotential bonding of the panels and efficient conduction of LF and HF interference. 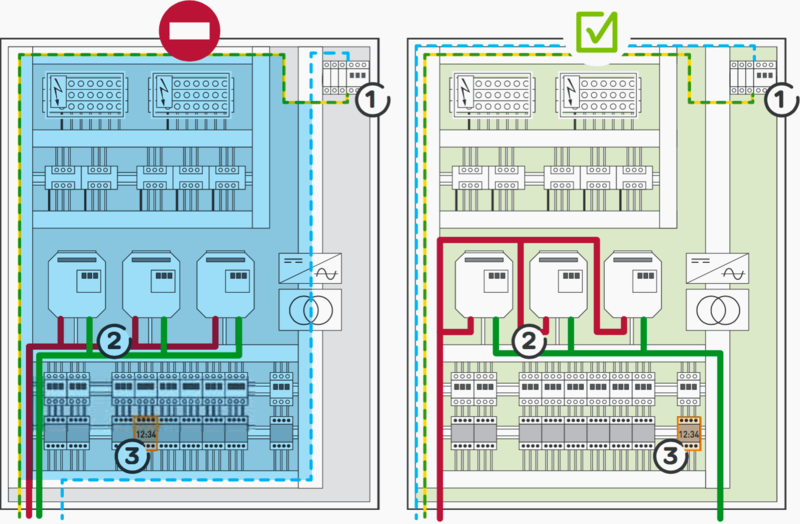 Partitioning of the panel into two zones: power, and low level is an alternative. A metal partition will be able to further improve EMC by confining each zone. In general, contactors should be kept away from electronic devices. A highly disturbing device (variable speed drive, frequency converter, etc.) will have less radiation in the panel if it is “encapsulated” in a small, electromagnetically sealed, unpainted metal enclosure. The enclosure should be carefully connected to the back plate (earth plane). NOS INTERESA REPRESENTAR SU MARCA EN LA ZONA DE BAVARO PUNTACANA REPUBLICA DOM. CONTACTO 809-543-4884. Información valiosa a la hora de diseñar un cuadro.